Take the L train to Bedford Ave (closest) or take the G train to Metropolitan Ave.
Get off at N 5th St in Williamsburg. Walk down N 5th and turn right on Bedford Avenue. Maison Premiere serves a daily list of over 30 varieties of oysters along with an American seafood menu. 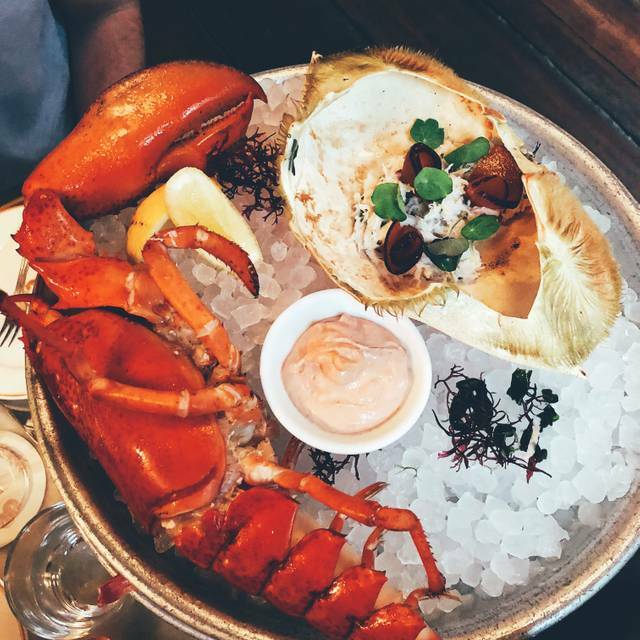 Dishes include sea urchin, fresh crudo, and a selection of shared plates and entrees. The award-winning cocktail menu takes original inspiration from classic cocktails and re-imagines them as innovative, thoughtful expressions. Inspired by New York hotel lobbies of bygone days, afternoons of leisure in Parisian cafes, and the charm of New Orleans’ Olde Absinthe House, Maison Premiere offers a truly unique dining experience. The intimate space contains a small dining room, a horse-shoe shaped cocktail bar, and special counter seating at the oyster bar. The full dinner menu is available at all areas of the space. In the summer, from June to September, the lush garden provides additional seating amidst an enchanted scenery. 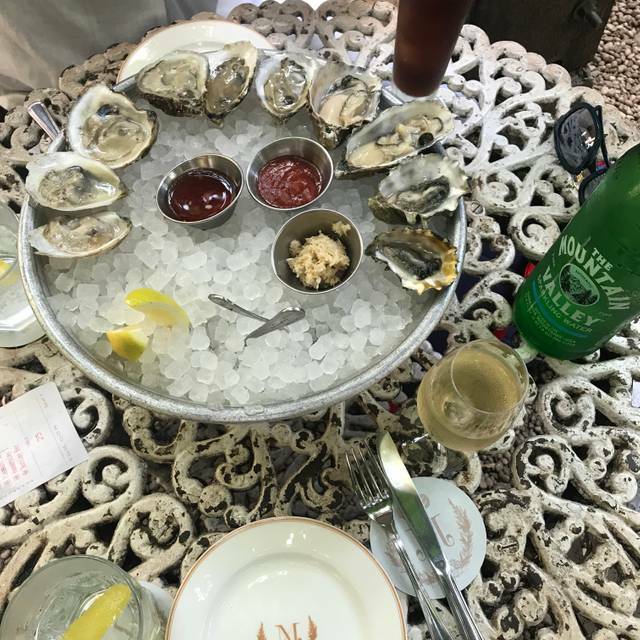 Service wasn’t the best this time, nor the drinks but the oysters - always amazing! experience at MP. The best cocktails in NYC. Just wish I lived around the corner. The place is pretty busy so it would be better to make reservation. The food was delicious. Omg the variety of oysters is amazing. Must try it all! The drinks were good too, however, didn't try the absinthe but definitely planning to go back and try that. Went to Maison Premiere for a date night and had a great time. We sat at the bar and had oysters, crab and one of the best lobster pasta dishes ever. The drinks were also fantastic and it was fun watching them get made up by the bartenders. The whole vibe of the restaurant was great - laid back but still really fun. I had a lovely experience, definitely will be back! Our party of four people had a lovely time on a Sunday evening. It was a great way to end the week-end. The oysters were delicious and the service attentive but not too much. Nice wine list. Nice decor and ambiance. Maison première is charming in every way. Our only criticism is that while the soundtrack was excellent, it was a bit too loud, a notch lower would have been perfect. Sorry about my late review, but better now than never. I celebrated my birthday at the Maison Premiere. 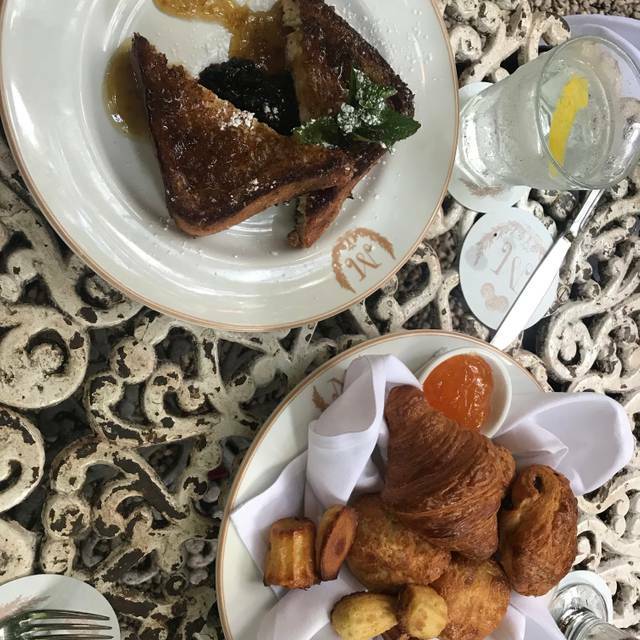 I've been the first time in NY and the first time at the Maison Premiere.I wanted a very special evening for me and I have had a successful evening. I love good food and of course a good champagne. I really hope, I'll find my way back to NY, just to celebrate life at the Maison Premiere. Delicious food, amazing drinks, passionate staff, the seating is a little tight but not overwhelmingly uncomfortable. Went there for the Oysters, which were superb! No matter which choice, they were prepared to perfection. Drinks taste amazing—one of my faves was the cocktail prepared with Absinth. Wish they would extend happy hour during the weekends. Will def be there again to try the rest of the menu items. I came here twice for Happy Hour Oyster..Fresh ,good value and everything was wonderful. The selection of oysters was fantastic! The restaurant was extremely hot and uncomfortable temperature wise but overall it was a good experience. Great drinks and oysters. Bartenders and stuff are great for recommendations. Only complaint was that the clam chowder is too salty. Was not very impressed with my pasta. It did not taste bad, however, it did not make me a believer and it had too much oil. The drinks were great though. I will try them one more time during the summer and for brunch. I can only hope no one will mess up breakfast food. Also, I want to experience their outdoor seating when the weather is better. Amazing experience, food was divine. Leo, our server, was lovely and patient, recommended great choices for cocktails. His associate, whose name we didn’t happen to catch, also made fantastic recommendations for dinner options, and when she couldn’t personally speak to a wine selection we had a question about, she quickly introduced us to the wine director, who was not only knowledgeable, but helpful in making our decision. My husband has wanting to dine at Maison Premiere for years, so thank you for making our experience and his birthday so special. 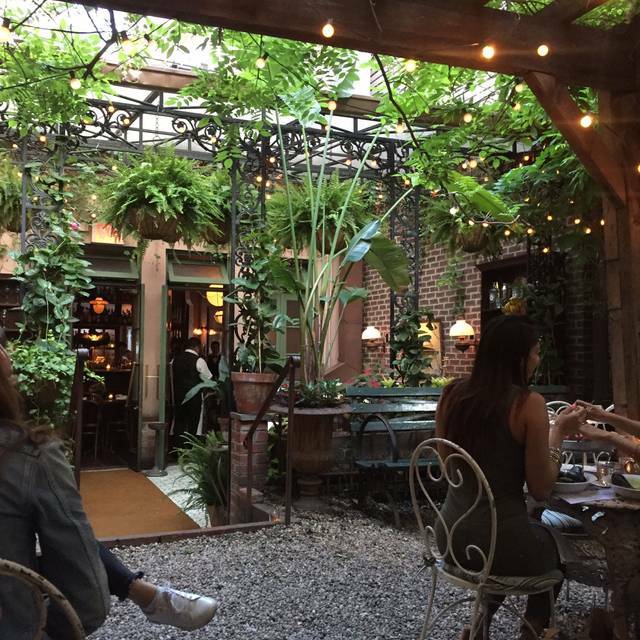 Amazing place in the heart of Williamsburg. 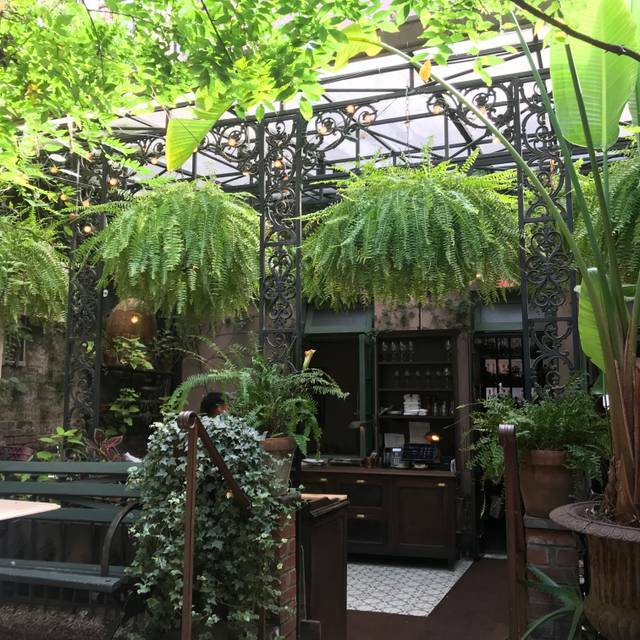 We absolutely loved the the vibe, the decor, and the service. 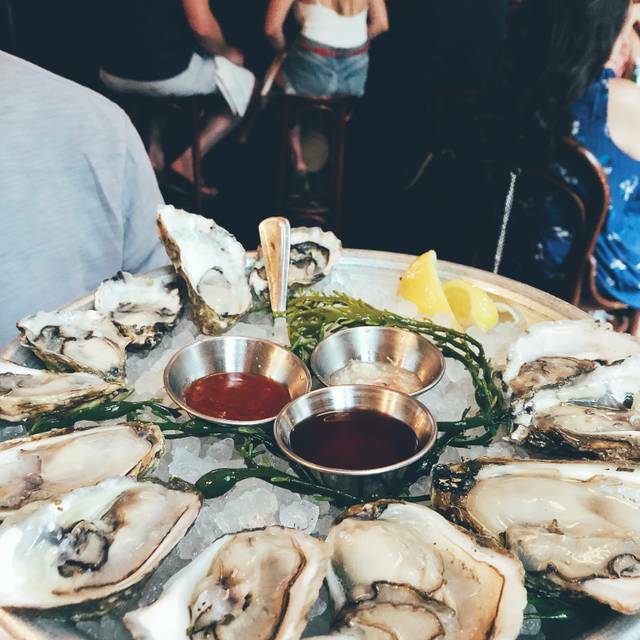 Oyster connoisseurs will love their wide selection of oysters from all over North America. The drinks are great too. We will definitely come back! I absolutely love it here. This restaurant has a great vibe, really good lighting, great music and the service was impeccable. The food, drink and service were all outstanding. The décor was so beautifully done - the thoughtful details were everywhere. I can't wait to return. 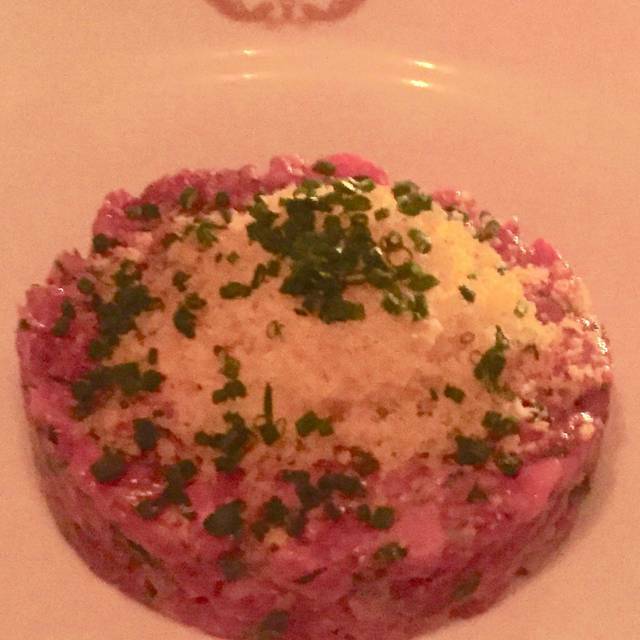 Great food, cocktails, service, and ambiance. A new favorite spot in a neighborhood full of terrific restaurants. The servers ALWAYS offer a superb experience here. What's in our glasses and on our plates ALWAYS makes us want to come back. These guys are the best, it was a special night for me and my girlfriend that was made even better by the very attentive staff and amazing food at Maison Premiere. I could not fault this venue at all and would definitely recommend it to anyone! Thank you so much! We sat at the back bar The guy opening the oysters was horrific he was in such a terrible mood slamming plates grunting banging utensils around that we were scared if we asked to be moved he might stab us. The poor girl working with him looked terrified it really spoilt our night. Oysters are always great. The chowder was little too salty. Total power move. I was high on gumbo. And the drinks are amazing. Fabulous place. Old school charm. 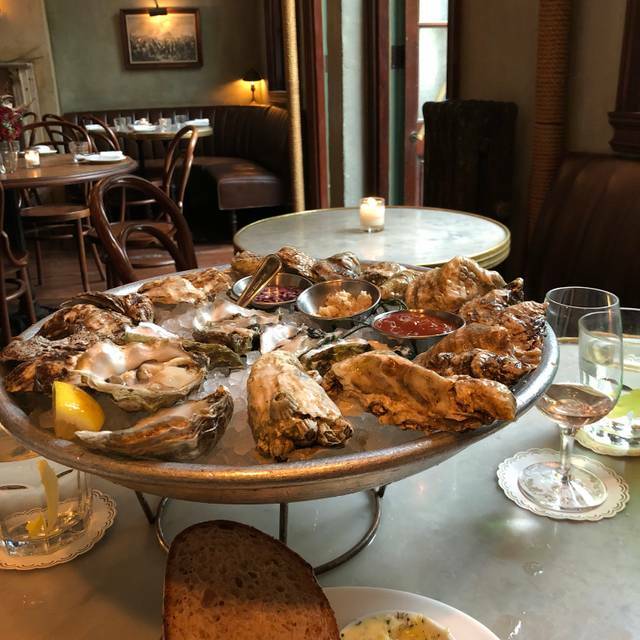 Outstanding oyster bar & cocktails. Excellent fish dishes. 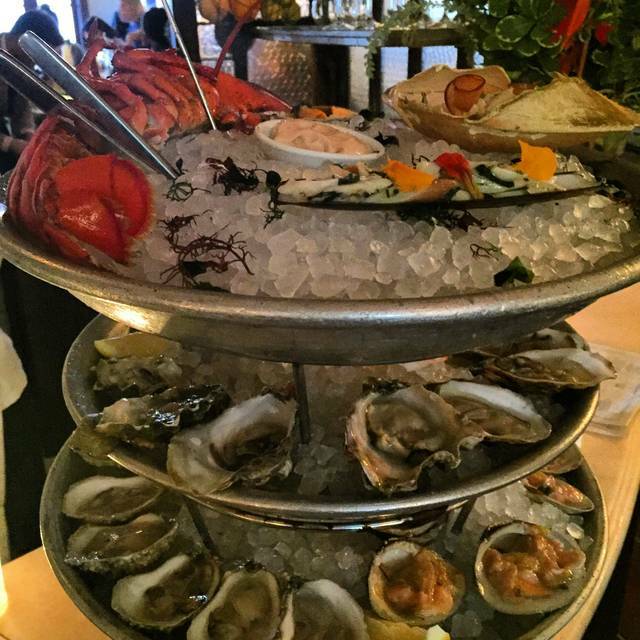 Amazing oysters, lobster, and sea food selection. I love this restaurant’s ambiance and concept and have been dining at Maison Premiere for 5-6 years. Unfortunately the service is extremely inconsistent from visit to visit and on this evening in particular it was horrible. We waited over 20 minutes for our cocktails. Our food, which was ordered after our cocktails, began arriving prior to our drinks. We were stuck drinking water with our oyster order. We eventually cancelled the bottle of wine we had ordered, as our meal was complete by the time the bottle arrived at the table. The service was exceptional!! The ambiance, presentation of food excellent. Special touches that made my birthday dinner. Sat at the bar which was perfect for an early dinner . Got the chefs choice oysters , lobster roll and sea bass . All excellent . Nice bartenders with no attitude. Beautiful room too - decorated for Xmas . You feel like your in a perfect small neighborhood secret .